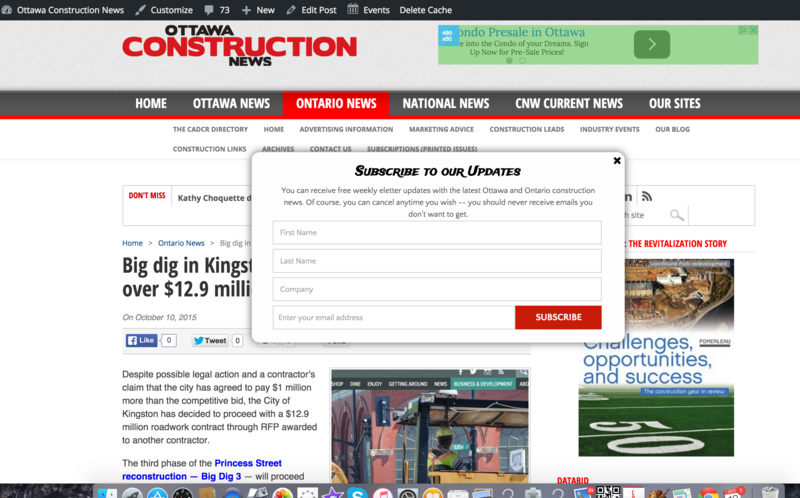 The Simple Sign Up form puts a sign up form in your content. You can set controls on the intrusiveness level. See it in action by clicking on the link to the relevant page where I've installed one of the test versions. The Simple Sign Up form puts a sign up form in your content. You can set controls on the intrusiveness level. See it in action by clicking on the link to the relevant page where I’ve installed one of the test versions. We needed to find how many people had visited a single page of one of our websites over the past two months. Now, that type of drill-down detail wouldn’t be something anyone would want to keep top of mind all the time (especially when there are hundreds of pages and posts, as we have several websites which are updated frequently.) But I was able to quickly give access to the relevant Google Analytics link to the colleague requesting the information, and we soon discovered the information we were seeking. The incredible volume of drill-down information, detailed data, and viewership insights you can obtain through this tool cannot be under-estimated. And it all fits in nicely and can be easily managed from a single console point; and you can work with your team and specialists to define and revise your reports. The next two tools are relevant if your sites/systems are based on the WordPress.org system. This free software, originally designed for bloggers has become a primary tool for many website developers because of its diversity, design flexibility and, of course, price. (It is free, open source, and frequently updated. There is a tradeoff with security risks if you aren’t careful, but that risk fortunately has been offset by security plug-ins. 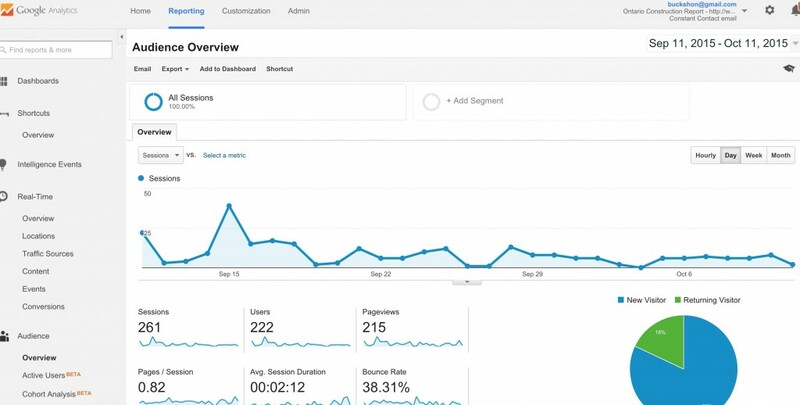 Google Analytics continues to develop and enhance its capacities. If you haven’t used this free service (or haven’t visited it in a while) it is worth a recheck. “Plug-ins” are the tools by which third-party developers provide modifications and enhancements and in the last few two weeks, I have discovered three helpful tools. This tool builds a form that encourages viewers to sign up for your eletter and can be as intrusive as you wish it to be. At the extreme, the page’s content is blanked out and you cannot escape the problem by simply pushing a little x button to have the sign up form disappear — you will need to give your email address (perhaps a fake one) if you want to go forward. I think this is a bit in-your-mouth extreme, but equally, think it fair to strongly encourage people to provide their contact information if they wish to receive valuable free content. (The form will disappear and not reappear once the system has your email address, and it can be integrated with the major email management programs if you pay a one-time $20 fee for the “Pro” version. Some time ago, we discovered “Contact form 7” which allows you to set up and co-ordinate contact forms. This is useful but how do you retain and apply the information for your mailing lists and the like. Contact Form DB solves the problem, creating an exportable database as people respond to the forms. There are a variety of tools that set up “related posts” links to direct people to relevant additional topics (and keep them on your website/page longer. I’m testing a few, though Related Posts Lite appears to be the best of the lot. The notable observation here is I’ve been working with WordPress for more than six years, and have gained some familiarity with the system/software and also the capacity to contract with consultants when things aren’t quite right — and didn’t know about these enhancements until just a few weeks ago (or even last night). How much more is there to discover.